Co-op in Resident Evil: Revelations 2 is strictly a local only affair, but it does offer up two different ways to enjoy said co-op. First, you and another player can go through the entire story campaign (all four episodes are included in the Deluxe Edition instead of being sold separately) with only player controlling Claire and the other controlling Moira. 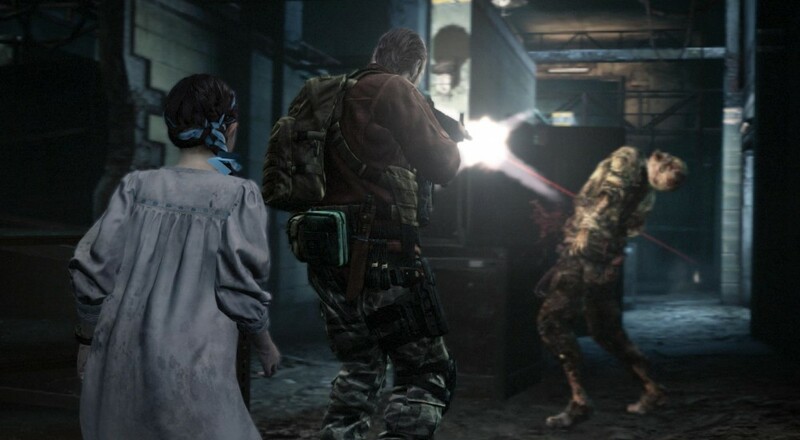 While Claire gets the guns and is the one primarily responsible for doing the actual killing of zombies, Moira can stun enemies and discover secrets. Along with the campaign, two players can team up to tackle the Raid Mode, which allows each player to choose their character from a pretty long list of familiar faces. The goal in Raid Mode is to clear through a level until you find the gold coin at the end and break it. Each player earns experience, which levels up your character so you can unlock and utilize new skills, and some other in-game goodies. Resident Evil: Revelations 2 Deluxe Edition is on sale for Xbox Live Gold members through the Microsoft store until next Monday, November 14. Page created in 0.3976 seconds.